If you are planning to do some gardening at the weekend be careful of nesting birds that may have made their home in trees, hedges, shrubs and in roofs. With the long, hard winter now hopefully behind them birds have started making nests, but because of the prolonged wintry conditions and late start to spring, they are already up against it. The RSPB has warned that nest sites are at a premium thanks to many of the usual sites provided by trees, shrubs and hedging still being lifeless and providing no cover. Val Osborne, the RSPB’s head of Wildlife Enquiries, said: “At this time of year there is normally is plenty of shrubbery for birds to make safe nests in and hide from predators, but the late start to spring has meant that many leaves are yet to come out. And for those of us ready to get started in the garden, the RSPB is asking to hold back on the hedge cutting to avoid destroying nests and baby birds. 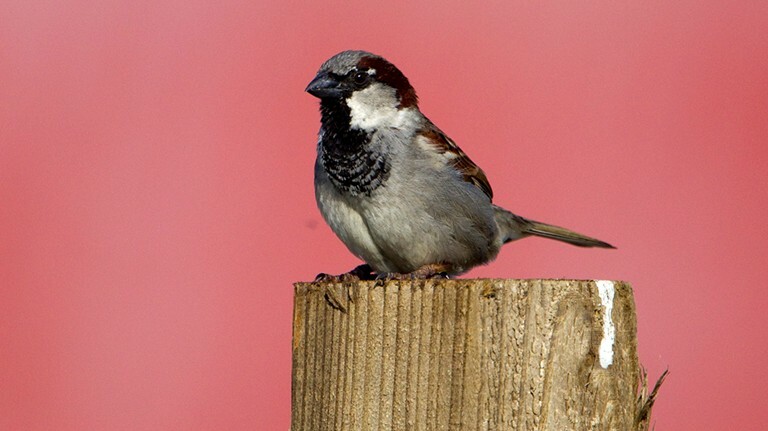 The RSPB is also warning us that birds could be nesting in our roofs, including house sparrows and starlings, so hold off on any repairs until the nest is no longer in use. “Usually no damage is caused by nesting birds, in fact the only way you’d know they were there is because of all the chattering and cheeping they do, but most people find that endearing,” said Val. This entry was posted in Birds, Climate change, Gardens, Nature, Wildlife and tagged RSPB. Bookmark the permalink.